Movie star actor turned political activist, George Clooney, announced today that he will be writing, directing, executive producing and playing the lead role of CNN reporter, Jim Acosta, in a new movie he is making on defending free speech in American under the Trump Administration. A reporter then questioned George Clooney about his seemingly feigning interest in Darfur. “Of course, that’s still important to me,” George Clooney replied, as he rolled back his eyes. "That's why I married Amal. She's got my back." Another reporter then questioned George Clooney about his personal war on the paparazzi. George Clooney then called Jim Acosta up to the podium. “Come up here, Jim,” said George Clooney. “But I have several questions to ask you, George," said a bewildered looking, Jim Acosta. "Hey, what did I tell you?" rhetorically asked George Clooney of Jim Acosta. "Yes, Mr. Clooney," answered, Jim Acosta. "But what about my questions?" “You can ask them later,” said George Clooney. George Clooney then ran down the aisle, grabbing Jim Acosta's arm, leading him back to the podium. However, Jim Acosta resisted for a moment, refusing to relinquish the microphone. "Really, Jim?" said a frustrated, George Clooney. "You want to try this crap on me? I'm not the [BLEEPING] President of the United States, you know. 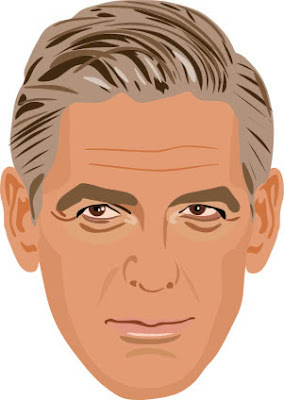 I'm [BLEEPING] George [BLEEPING] Clooney." George Clooney then pulled his cell phone out from his pants and held it out in front of himself and Jim Acosta. Copyright © 2018 by Robert W. Armijo. All rights reserved.